Soak the cashews for the filling overnight in water. For the crust blend together all ingredients in a food processor until combined. . Press into a greased tart tin (with removable base) and place in the freezer while you prepare the next layer. Blend together all the filling ingredients in a food processor. Spread evenly over the base and place back in the freezer. Add all toffee ingredients to a blender and blend until smooth. Spread over the filling, and place the tart in the fridge for 20 minutes to firm up. 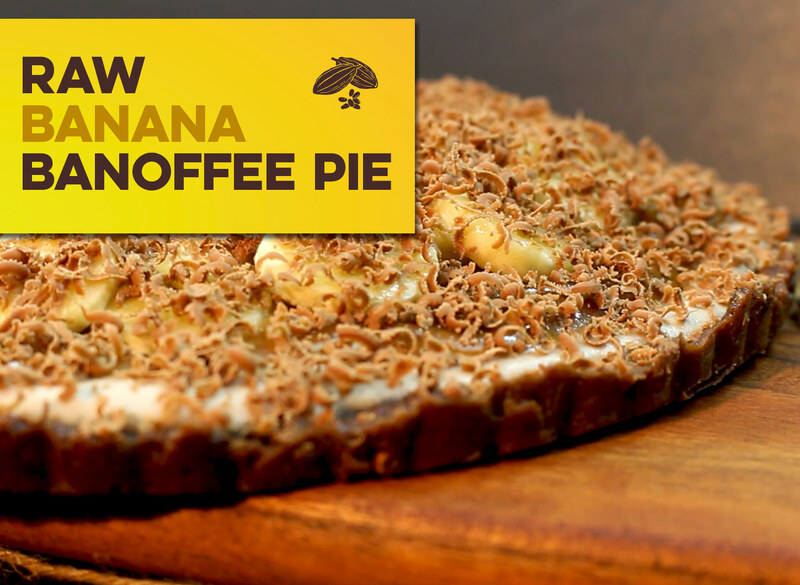 Decorate with sliced banana and grated chocolate to serve.